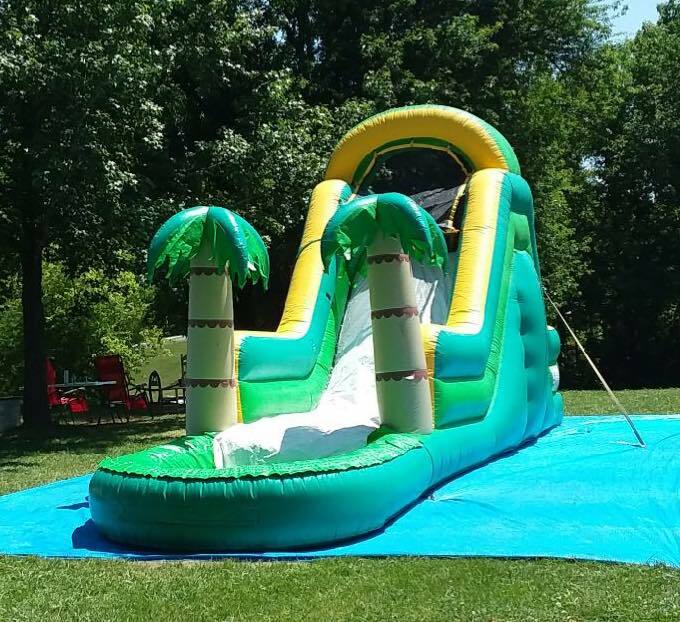 Have a tropical fun time on this water slide and splash pool. It offers an easy climbing ladder and a slide to take them straight for a cool dip in the pool. This is sure to keep guests young and old busy with hours of fun.